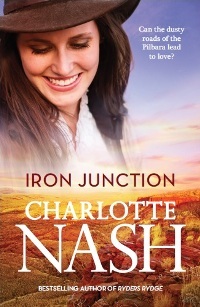 To avoid family judgement, she keeps the break-up a secret and flees to a temporary job in the tiny mining town of Iron Junction, where dashing engineer Will Walker rescues her on a lonely road. But Will has a past. Working on his father’s cattle farm was never the life he wanted, but turning his back on his family had far more to do with the dark secret he left at home. Now there’s trouble brewing at the Iron Junction mine, and the complication of his growing feelings for Beth. Amid the high drama of cyclone and flood, Beth and Will have one final chance at a future together. Will they be brave enough to love each other despite everything that stands in their way? #2 in The Walker-Bell Stories, blending small town contemporary romance with medical drama, and featuring the Walker and Bell families.